Working alone in an office or a lab late at night? Just let us know and we can schedule regular visits. These visits can be at any interval, say every 45 minutes or every hour – whatever works best for you! Call anytime 6:00 PM til late nightly for a co-ed pair of student UBCEFRT volunteers to walk you to your car, to the bus stop, to your class, to the library, or anywhere on campus! 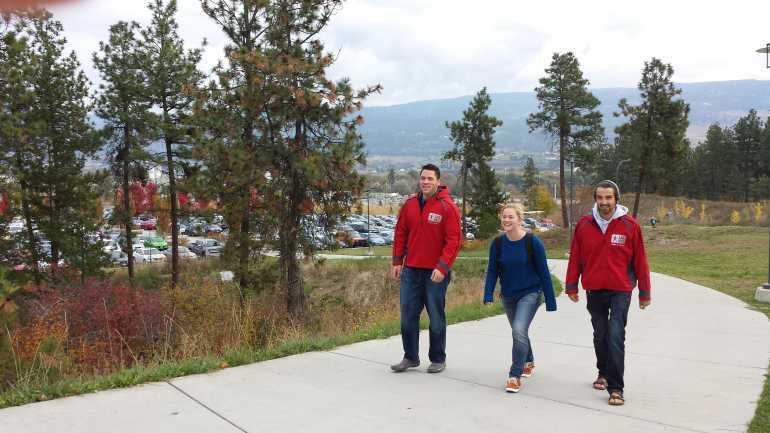 Register online or call us to set up a regular accompanied walk for you across campus, such as after your class ends to the bus stop or after your on-campus work shift ends back to residence. We are here to help you! Safewalk student patrollers are walking around campus in the evenings daily. Feel free to flag them down for a spur-of-the-moment walk!